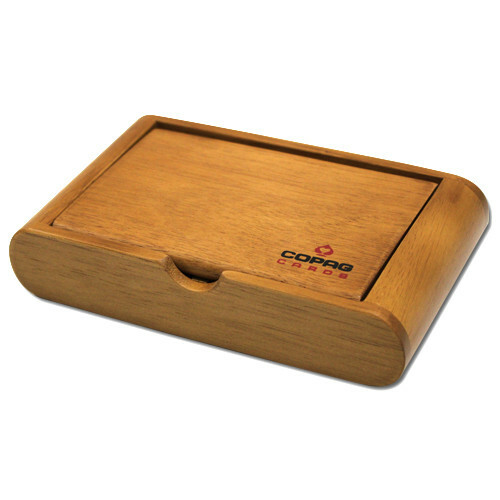 Protect your investment with a sturdy wood card sotrage box. 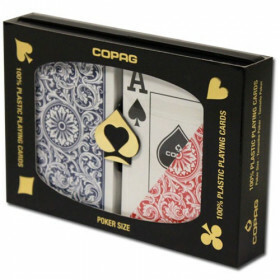 Store your plastic playing cards in style, and keep them safe, fresh and ready to use for your next game night. 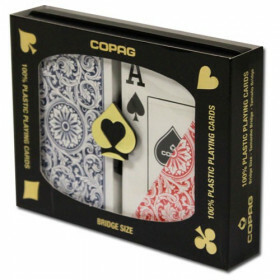 Use this wooden storage case to store your poker size (2.5" x 3.5") or bridge size (2.25" x 3.5") COPAG playing cards. If you spend the money to invest in high quality plastic playing cards, store them in style with this sturdy wooden playing card storage box. 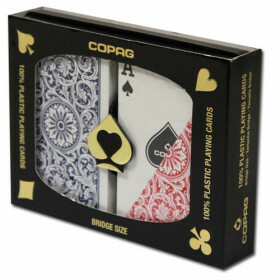 Make sure your cards are ready to play the next time your friends come over. This storage box will keep your cards clean, neat and ready to go. 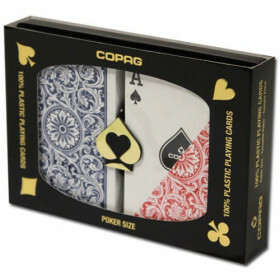 Made with sturdy wood, this box features the COPAG playing card logo.